Last year, guest writer and SBANCA member Lauren O’Connor fulfilled a life-long dream and traveled to England for vacation. She shares her experiences here. Visiting England has been on my bucket list forever. Last year I said to myself, “What am I waiting for?” and asked a long-time friend to join me on vacation in England. We knew there would be accessibility challenges, so we used a travel agent and did a lot of research ahead of time. The result was an adventure that was tricky at times, but tons of fun! Getting around London was not difficult. All the taxis in London are wheelchair accessible—a pleasant contrast to taxis here in Washington, D.C. When we hailed a taxi, the driver immediately got out of the taxi, unfolded the ramp, and pushed my wheelchair into the taxi. One day my friend and I split up for sightseeing. She took the Tube (London’s metro). My research indicated that many Tube stations are inaccessible, so I chose to “wheel” around the city on my own. 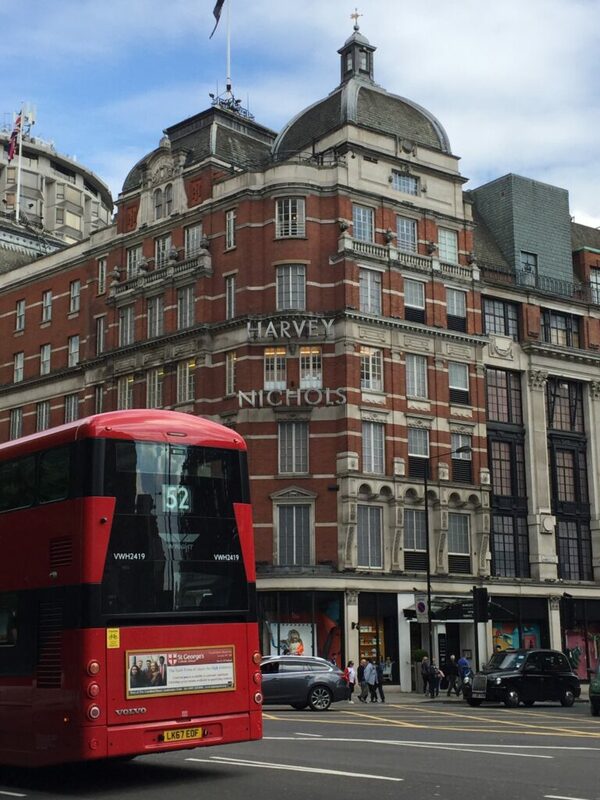 I went by Kensington Palace and Royal Albert Hall and stopped at a local grocery store and Harvey Nichols department store. (The accessible restrooms in public buildings are huge there, larger than many restrooms in the United States.) I had a great time taking pictures and experiencing London up close. Several people offered help, particularly when I was rolling over cobblestone sidewalks, which are common there. As anticipated, the hotels in England were a bit challenging. 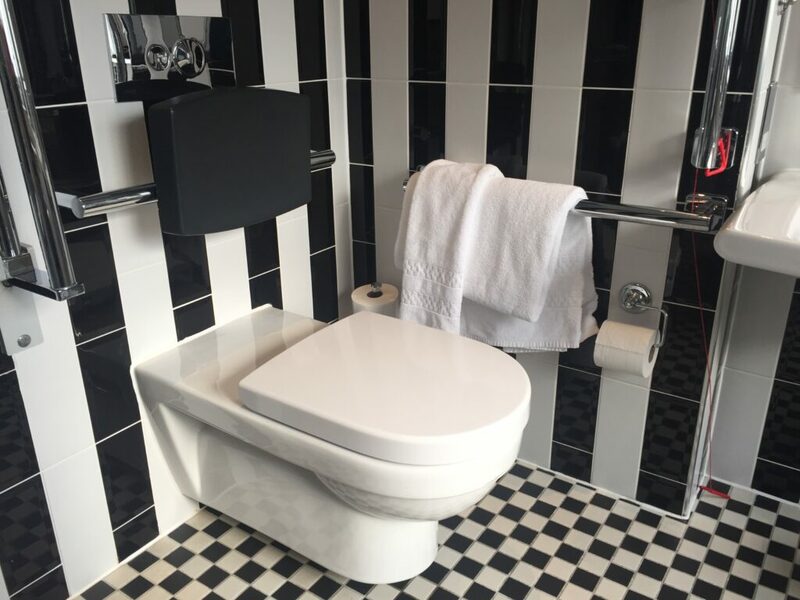 The bathroom door would not close completely in our London hotel; in Stratford-upon-Avon, the hotel manager had to take the door off the closet so that I could get my wheelchair into the room. 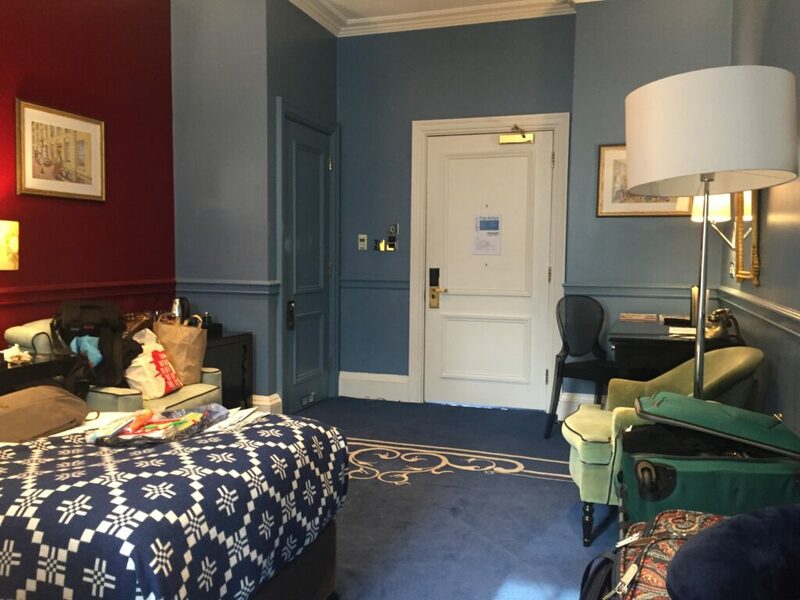 Because we had to make a last-minute change–thank you Meghan and Harry for scheduling your wedding on our last day in England—our last hotel was not accessible at all. I had to enter the building through a side door because of stairs in the lobby, and the bathroom door was not wide enough to accommodate my wheelchair. Weary from a week of traveling, I was very grateful for my friend, who told the manager about the inaccessibility of our room. The manager did his best to accommodate us and provided a chair I could use at the sink and another chair for the shower. We hired a car to drive us between the cities we visited. I love the train, but I was uncertain about their accessibility. The hired car was more expensive, but it was worth the extra money to ensure that we reached our destinations easily and on time. I will definitely travel abroad again, not by myself but with a friend who is willing to share the adventure with me. The big question is where to go next—Ireland, Scotland, Spain, Scandinavia, Australia, Africa? 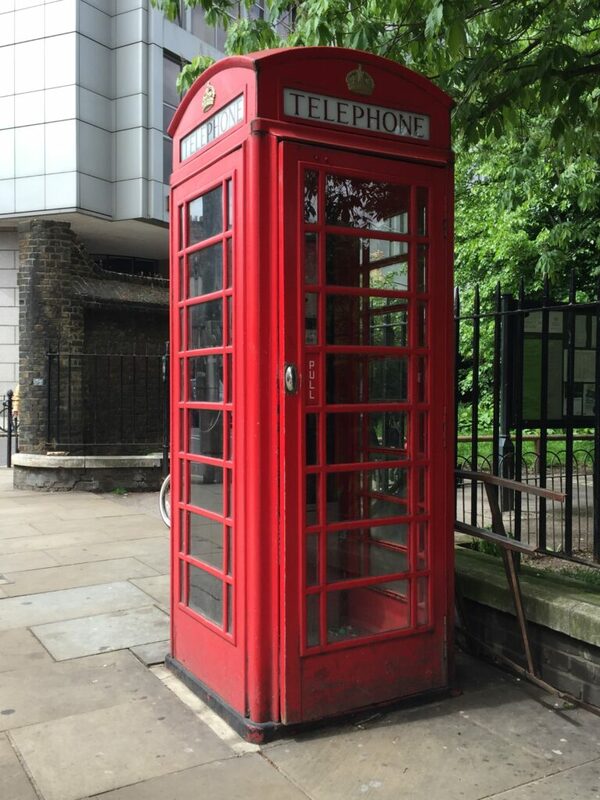 There still are red phone booths, but they may contain other things like an ATM. Harvey Nichols, a high-end department store in London, had fabulous window displays. 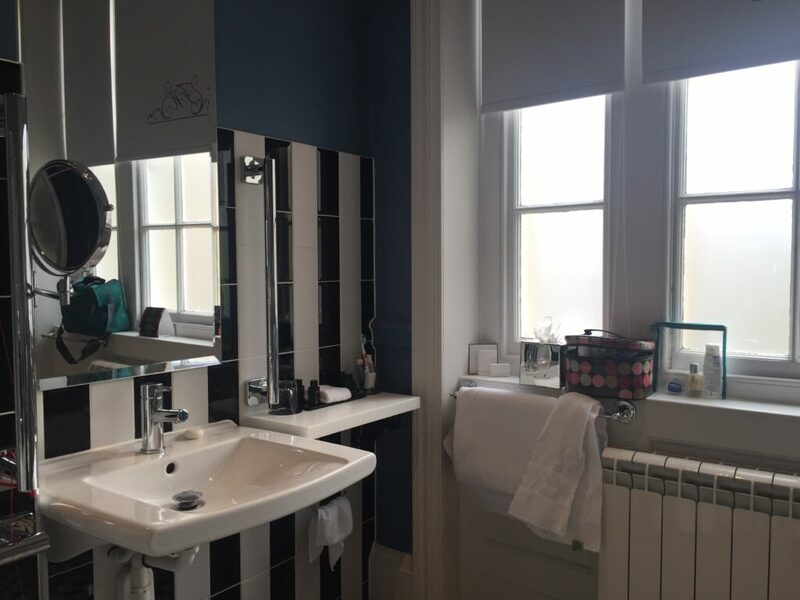 The bathroom in our accessible hotel room in Bath. Yes, our hotel in Bath had the best bathroom of the trip! 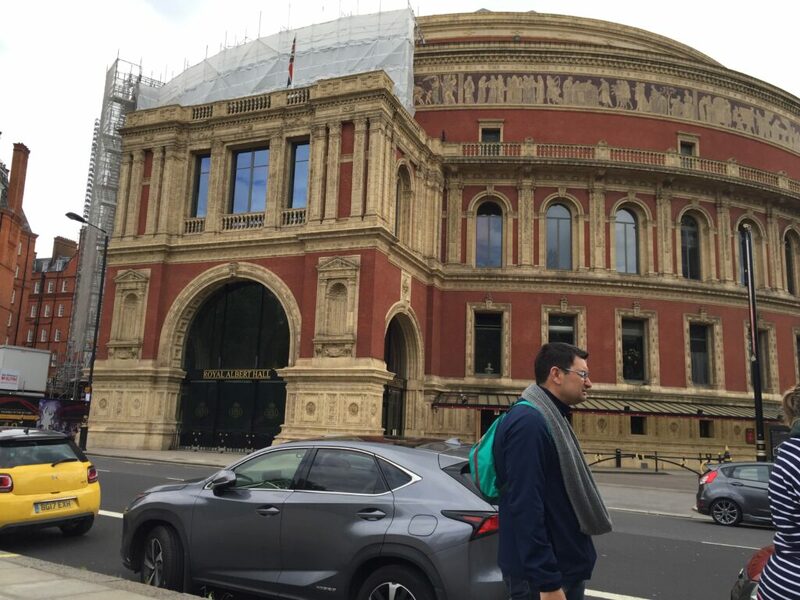 I rolled past Royal Albert Hall in London. 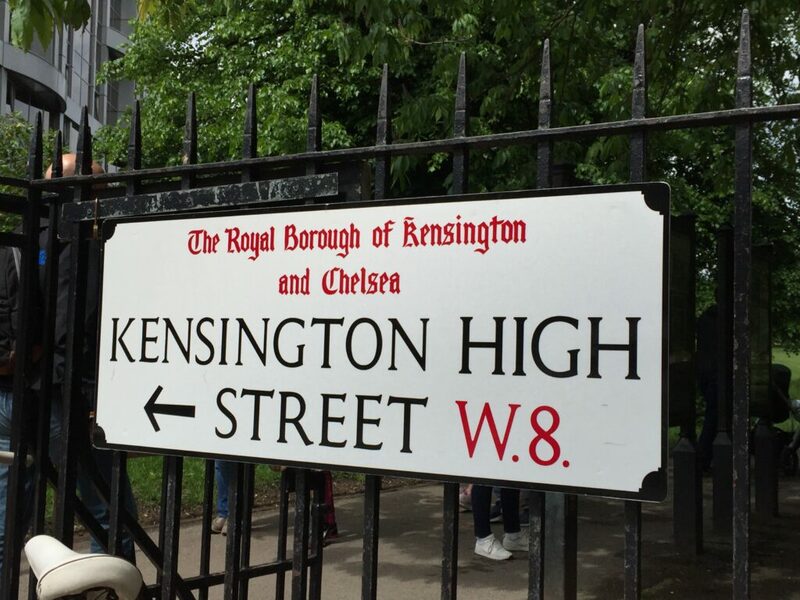 Our first hotel was in the Kensington area of London–not far from where William and Kate live. 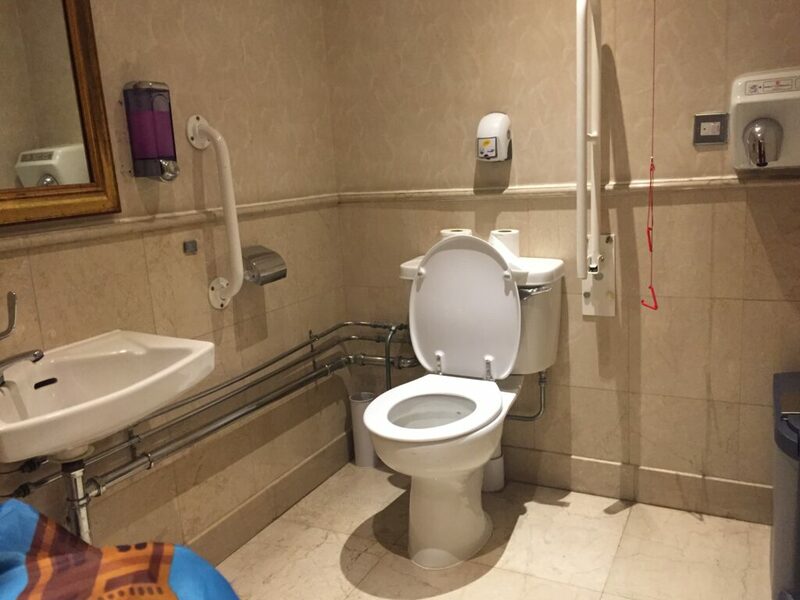 This accessible restroom was huge and nicer than most accessible restrooms in the U.S.
Our hotel room in London. 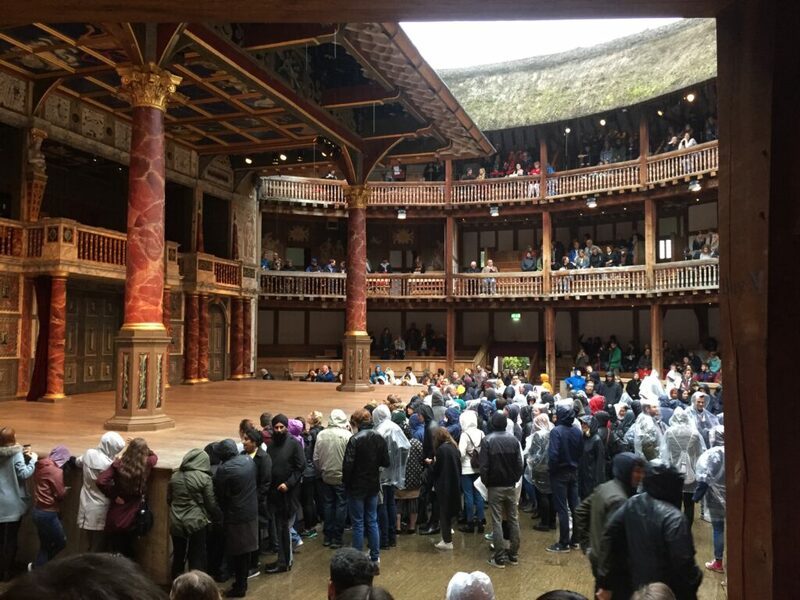 We saw Hamlet at The Globe Theatre. Our seats were in the first level. We saw a patron in a wheelchair watching from the floor. He rolled his wheelchair onto a platform placed in front of the stage so that he was at eye-level with the audience.